Our family’s recent visit to Bodh Gaya, Nalanda and Vaishali in Bihar state kindled a keen awareness of what had happened to India through repeated foreign invasions over the past two Millennia. This pilgrimage of sorts was undertaken as a part of our summer vacation package, was much anticipated and, despite the over-bearing heat and the chaotic traffic of Patna and the other towns, entirely fulfilling. We expected to be close to the Bodhi tree and to walk along the ruins of Nalanda University, but knowledge I gleaned from this trip was mind-numbing. Since I already knew a good deal about these tourist places, what I didn’t know before the visit was a great surprise to me. To learn that Bihar state stands in the same location as the Magadha kingdom of Mahabharata fame was enough to perk my attention. But to then be told that present day Patna was the famed Pataliputra, the capital of both the Mauryan Emperors and the Gupta dynasty was news to me. Even Vaishali has two great distinctions: first, Lord Mahavira of Jainism was born there; second, it was the first place in the world to experiment with democracy, long before the Greeks got hold of the idea and made it their own. Despite all these past accomplishments, Bihar state is at present firmly planted at the bottom of the heap in India, in both education and economic development. 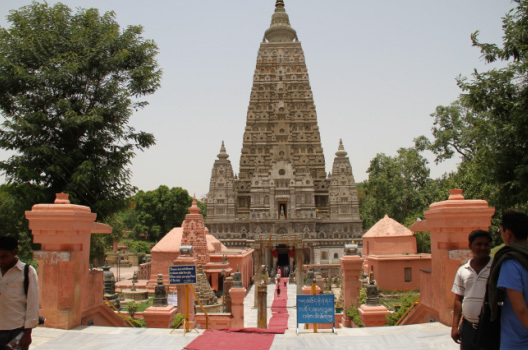 These facts were brought into keen focus when my guide at Bodh Gaya exclaimed “ Ah! The state with 100% literacy rate”, upon learning that I hailed from Kerala. My experience in Bihar made me reflect upon why this state met with such dramatic turnaround in its fortunes. This essay will attempt to analyze this theme. 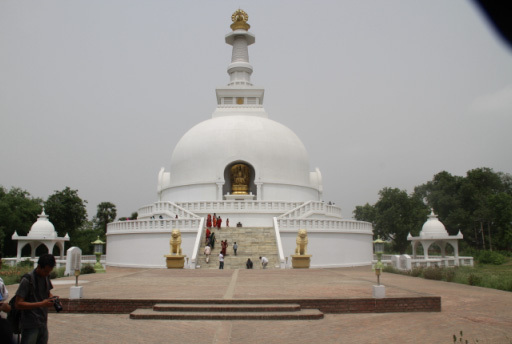 Present day Bihar is situated at the site where a kingdom of Magadha existed from time immemorial. Thus, when Chandragupta Maurya established his (and India’s first) empire there, Pataliputra became the capital of the empire. Under the stewardship of his grandson, Ashoka, the empire grew to include all of North and Central India and the present day Pakistan, Bangladesh and Afghanistan (the latter was then called Gandhara). Only the farthest eastern part of north India and the deep south were not annexed, and that too only because Ashoka abandoned war in favor of Buddhism and conquering the hearts with good deeds. History regards Ashoka’s rule as a golden age during which India flourished in wealth, cultural activities, standing among the international community, and in influence. 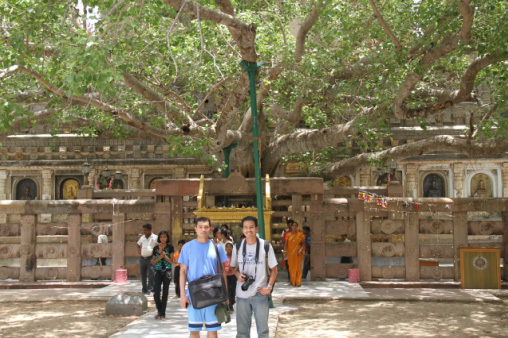 At the age of 35 Gautama Siddhartha attained enlightenment after meditating under the Bodhi tree in Bodh Gaya. He traveled all over this state (as well as neighboring states in the north) and preached. 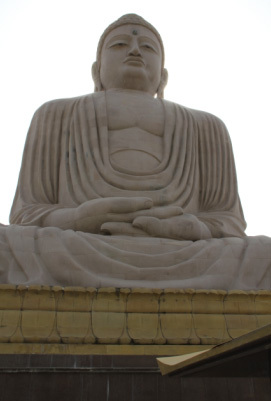 Mahavira (of Jain religion) was born in Vaishali, a small town only 56 Km from Patna. 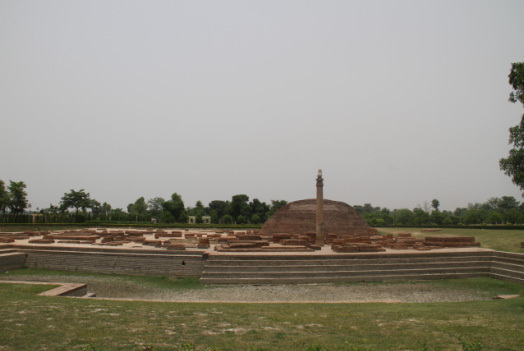 Vaishali was also the site where the people first experimented with democracy. Between the years of 500.CE and 1,200 CE, the very first live-in university in the world flourished in Nalanda, also in Bihar. There were 10,000 students and 1,500-2,000 teachers in this university and ninety-three subjects including philosophy, mathematics, literature, military science, political science, astronomy, medicine, and surgery were taught. Students flocked here from not only all parts of India but also from the rest of Asia and Greece. Many scholars have left elaborate descriptions about the university but the most acclaimed is the description by the Chinese pilgrim and scholar Hieun-Tsang. The fortunes of Magadha began to change with waves of invasions from abroad (mainly from Afghanistan and Turkey) by Islamic rulers. These invading hordes routinely savaged and ransacked every city they conquered. The fate of Magadha was no better. Tibetan pilgrim Dharmasvamin left heart-rending accounts of pillage and destruction. 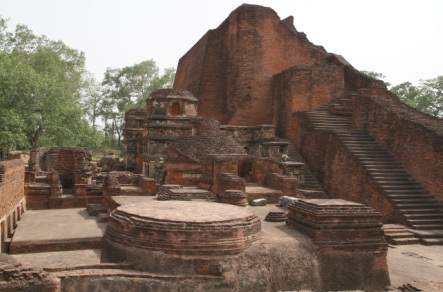 The University of Nalanda was gutted; according to reliable accounts, the university burned for 6 months and when it settled down, only 1/10 of its original buildings remained but all were in ruins. The two vast libraries also burned down but a portion of the written material that was previously copied and taken to China by Chinese scholars, survived and gives us a glimpse of the high level of knowledge that existed in the university. The kingdom never recovered from these onslaughts. As the European colonization followed closely at the heels of these Muslim invasions, Bihar remained down-trodden, along with the rest of India. Now Bihar state is poor, with literacy rate of around 55%, near the bottom in India. In retrospect, it is understandable that to the Muslim invaders Magadha would be the prime target. Where else would one go to destroy a nation’s culture but its crest? What is inexplicable to me is the negligence of the democratically elected central government of present day India. One finds sanctuaries around the pilgrimage spots of Bodh Gaya and Vaishali, where many “Buddhist” countries such as Japan, Thailand, Sri Lanka, Vietnam etc have built Buddhist monasteries, to their specifications and at their expense. These are virtual enclaves of isolated splendor, in stark contrast to the sea of chaos surrounding them. The approach roads and the rest of Bihar are in pitiful condition. 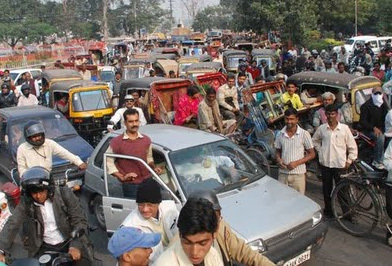 Patna is chaotic and a far cry from erstwhile Pataliputra. This, in my opinion is criminal negligence on the part of the government. Even from a practical point it makes eminent sense to restore to Bihar and its capital city Patna some semblance of their past glory. Why? If nothing else, improving the infrastructure and making the pilgrimage and other historical sites accessible to tourists will bring scores of visitors from the “Buddhist” countries, with their Yen, Yuan, Rupiahs and Dollars. Of course, advertising in print and especially the broadcast media and the internet will be of paramount importance. Which brings me to the efforts of the government of India in this area so far. “Incredible India!” series of advertisements have been nothing but ‘incredible’. Showing some weird faces of Rajasthanis or aboriginal Indians does not exactly extol India’s accomplishments or coax foreigners to shell out money to rush to see India. It is incredulous to me that none of these advertisements focuses on the great personalities like the Buddha or Gandhi or great mathematicians/astronomers like Aryabhata, Bhaskara and Madhava (of Kerala school of mathematicians), the varied flora and fauna of India or great architectural achievements (with the lone exception of Taj Mahal), such as the Kailashnath temple at Ellora or the temple complexes of Tamil Nadu. There are myriad ways of explaining to the world why they should visit India. One would be by focusing on each state or region and going over the important sites to visit or on the personalities and their achievements, from each region or state. Another way might be individual advertisement dealing with the important flora or fauna or on personalities of philosophy, politics, mathematics or on the architectural edifices from the different parts of Indian history. My emphasis on these advertising campaigns as it applies to Bihar would be about dealing with the great contributions this state had made to the cultural mosaic that is India. This state was the foremost kingdom from the beginning of Indian history, when, for many centuries Indians had been the teachers for the world in literature, science, mathematics, philosophy, theology, medicine and surgery; it should be ‘lifted by its bootstrap”, if not to pristine conditions, at least to some semblance of its former glory. The rest of India owes it to the Biharis!